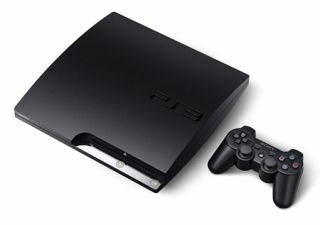 Sony slashes PS3 and PSP prices – and confirms PlayStation 3D TV | What Hi-Fi? Sony is slashing the price of its PlayStation 3 console to £200 for the 160GB version, or £250 for its 320GB model, with immediate effect. Some retailers, such as Best Buy, Dixons and Tesco Direct have already cut the price of the 160GB PS3 to £192-£195. Tesco Direct and Amazon are selling the 320GB model for £215. The company is also planning to launch a new, cheaper version of the PSP handheld console for €99 (UK price to be confirmed). In a bumper bout of morning news for Sony, the Eurogamer website is reporting that a PlayStation 3D TV will be released in the UK later this year. The PlayStation-branded 3D TV was showcased at E3 but has only now been confirmed as coming to the UK. A 24in set, it will cost £499, and is designed specifically for gamers. The screen uses "SimulView" technology, which allows two players to view two different images on the same screen based on their seating position. The PSP will be re-positioned as an entry-level device, minus the wi-fi functionality of the current model. It had been thought that the forthcoming PSP Vita (below), announced earlier this year, would replace the current PSP. The new pricing strategy was announced at Sony's GamesCom press conference in Cologne. Andrew House, president and CEO of Sony Computer Entertainment Europe, says: "Our strategy is to provide the best quality entertainment experience at accessible prices. With PSP at €99, Vita starting at €249 and PlayStation 3 at €249, we feel confident gamers can enjoy the incredible games available on PlayStation whatever level of investment suits their budget."